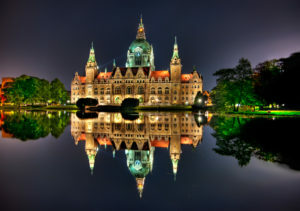 Founded in 1947 the Hannover Messe are famous in the world . The world’s biggest IT trade fair takes place there every year since 1986. Except that there are many more important trade fairs during a year. Arla-com offers professional design and construction of the fair and exhibition stands. Having many years of experience we guarantee a professional approach and excellent execution fulfilling expectations of the client. The people of our team are experienced and passionated professionals highly engaged in their duties. We are continously develop our skills and production line. 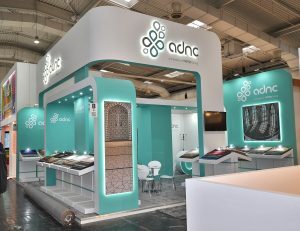 Beside is the picture of our realization for Domotex Trade Fair. As you can see it is modern and stylish with toned colours . We succesfully fulfilled all the expectations of the client by providing high quality special and very unique fair stand.